Albert L. Rhoton Jr., M.D., an internationally known neurosurgeon and pioneering researcher who built a small neurosurgery division into a thriving department at the University of Florida College of Medicine, died Sunday at his Gainesville home. He was 83. Rhoton, a UF professor and chairman emeritus of the Lillian S. Wells department of neurosurgery, had a storied career that spanned more than five decades. In that time, he trained thousands of fellows and residents in the latest microneurosurgical techniques, invented hundreds of neurosurgical devices and received the profession’s highest recognitions. Rhoton’s accomplishments were matched only by his deep concern for patients, a strong desire to share knowledge with other physicians and his calm presence during surgery, said Michael L. Good, M.D., dean of the UF College of Medicine. Good said he was particularly struck by the lasting impressions Rhoton left on patients. Even after many years, some of them still talk about his caring, compassionate approach. “Dr. Albert Rhoton was a great man, a role model physician, teacher, scientist and leader. His surgical skills as a preeminent neurosurgeon were amazing, and I was fortunate to see these up close in the operating room while anesthetizing his patients. Ever present was his compassion for the well-being of his patients, and the professional advancement of his students and faculty. His leadership as chair of neurosurgery changed the course of this medical school and pointed it squarely on a journey to excellence. I will miss his wisdom, shared through words and by example, always with calmness and kindness,” Good said. Rhoton almost didn’t become a physician — twice. While finishing an undergraduate degree in social work, Rhoton happened to take a physiological psychology class that left him completely captivated by the brain’s complexities. Then, when applying to medical schools, one official suggested he wasn’t a suitable candidate because the lingering effects from untreated pneumonia years earlier might shorten his life. Rhoton pressed on, graduating at the top of his 1959 class at Washington University School of Medicine in St. Louis. In 1972, he left the Mayo Clinic in Rochester, Minnesota, to join the UF College of Medicine as a professor of surgery and chief of the neurological surgery division. 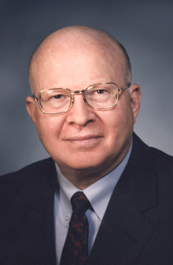 In 1975, he began teaching the evolving specialty of microneurosurgery, which uses microscopes and miniaturized precision tools to perform intricate procedures. As Rhoton’s reputation grew, so did the department: A division with just two faculty members at his arrival grew into a department that now has 18 neurosurgeons, 13 research faculty and 21 residents. By 2012, more than 1,000 neurosurgeons and residents had come from around the world to learn from Rhoton. His microscopic detailing of the brain’s network of veins and arteries helped other neurosurgeons reach trouble spots without damaging delicate tissue. In 1998, Rhoton earned the Harvey Cushing Medal, the American Association of Neurological Surgeons’ highest honor. An author of three books and 498 scientific papers, Rhoton received UF’s Distinguished Faculty Award in 1981. In his 27-year tenure as department chairman, he secured funding for 10 endowed chairs in research and education specialties, secured multimillion-dollar funding for a professorship that bears his name and had a key role in the development of the Evelyn F. and William L. McKnight Brain Institute of the University of Florida. “He has been an outstanding teacher of residents and neurological surgeons,” said William A. Friedman, M.D., who succeeded Rhoton as department chair. “Albert Rhoton demonstrated, over and over, to all of his students and admirers that the only limits to what we could achieve were those limits we placed on ourselves. He has been a source of inspiration and hope to our department, to the world of neurosurgery, and to his many grateful patients. Tall and soft-spoken, Rhoton carried his medical accomplishments with a quiet but determined demeanor. Despite having metastatic prostate cancer, Rhoton worked in his neurosurgery laboratory until a week before his death, mentoring neurosurgeons from around the world and working on papers, his son, Eric Rhoton, M.D., said. As a pioneer in the field, Rhoton often needed to develop his own neurosurgical instruments. He ended up working with a German metallurgist to create more than 200 devices, including an eponymous tool for dissecting tumors. The Rhoton name is so ubiquitous that virtually every hospital in the world that does neurosurgery has multiple sets of his tools, Eric Rhoton said. Albert Rhoton also had many of his most important lectures and techniques posted free on the Internet. While the elder Rhoton could have gotten wealthy from his development of neurosurgery instruments, he had a nobler goal, according to his son. “He wanted his work in neuroscience to help someone in the world every second of every day. He wanted to spread safe, precise, accurate surgical techniques around the world,” said Eric Rhoton, a neurosurgeon in North Carolina. Despite his success, Albert Rhoton never forgot the important lessons he learned while studying to be a social worker many years ago. Born in a log cabin in Parvin, Kentucky, he attended a two-room schoolhouse. In a 1999 interview, Rhoton credited his parents for emphasizing education, going back to college and improving the family’s life. All of the Rhoton children followed their father into the medical field. His other son, Albert Rhoton, is a UF College of Medicine graduate and a gastroenterologist in North Carolina. One daughter, Alice Rhoton-Vlasak, M.D., is a reproductive endocrinology specialist at UF Health. Another daughter, Laurel Rhoton-Selner, is a UF College of Nursing graduate who works at UF Health. He is also survived by his wife of 58 years, Joyce Rhoton. Eric Rhoton, who studied in his father’s department while at UF, said neither of his parents pushed them toward the medical field. Visitation is 4:30-6:30 p.m. Friday at the Williams-Thomas Funeral Home – West, 823 NW 143rd St., Newberry. A memorial service will be held at 1:30 p.m. Saturday at First Lutheran Church, 1801 NW Fifth Ave., Gainesville.